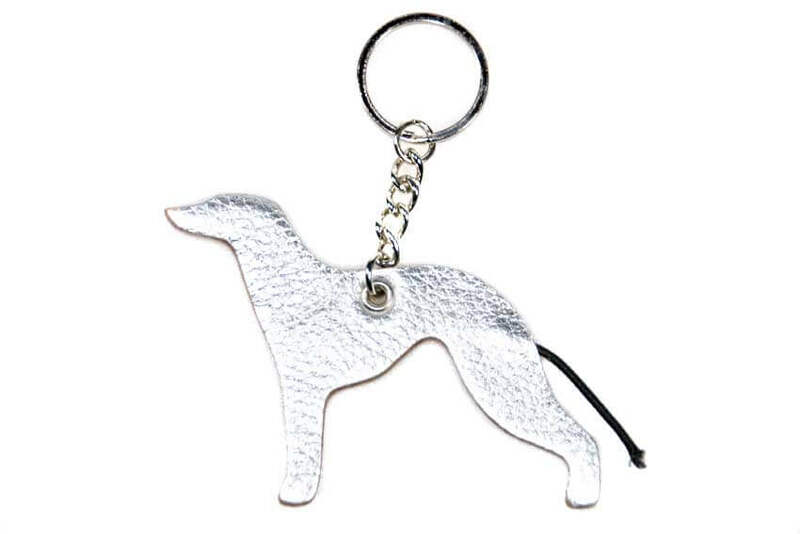 This silver Greyhound is an excellent watch dog to be trusted with looking after your keys. Genuine leather keyrings make ideal gifts for all Greyhound lovers. 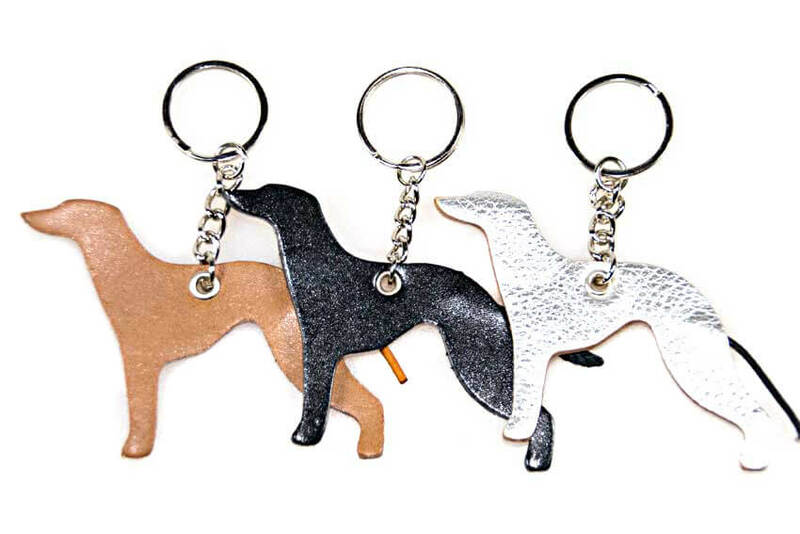 These leather Greyhound key fobs make a stylish accessory when clipped to your handbag or backpack. Dog Moda's dog breeds keyrings are our own exclusive design and not available anywhere else. They are available in fawn, black and silver. All Dog Moda's key rings are designed and made by hand in house. We make other dog breed in leather key rings and chain fobs. Choose from Afghan hound, Greyhound, Whippet, Basenji and designer Cute dog key ring fobs / charms.